Jamaica Realtor - Who Can You Really Trust? As most of my ardent fans know, I started this website purely from my passion some years ago. Since then, I have gotten hundreds of questions about (almost) everything Jamaica. From 'where is Jamaica' to buying real estate in Jamaica. Well I want to think I do a good job with questions related to the former, but the latter, no way :-) I do try but I am no real estate resource at all; far from that! But seriously though, I must be brutally honest and say that the process can take forever (especially for an outsider) to gain property (house, land, other assets) here; there is still (sadly) too much 'red tape' and bureaucracy, compare to the USA, for example. Well, thank goodness for folks like Maura! They help to protect us from of all the headaches, heartaches and in some cases, nightmares, that obtaining property in Jamaica can bring - seriously. 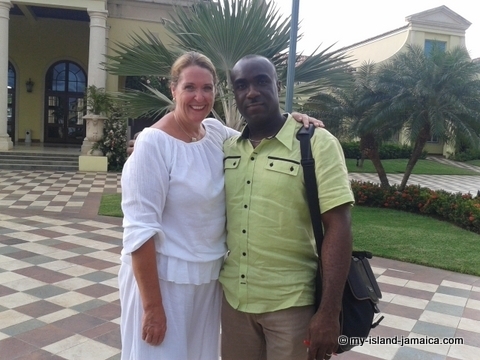 A true professional, Maura (picture left) is a personal friend of mine and a top real estate agent in Jamaica, so it is with immense pleasure that I recommend her to you. And yes, she is an esteemed member of the Jamaica realtors' association. She's originally from the USA - Boston, Massachusetts to be exact, but she fell in love with Jamaica and eventually moved here in 2007 with her husband and three children; all three of whom are attending local schools here. Her family currently resides at the beautiful South Sea Park, a tranquil beachfront neighborhood on the favored south coast of Jamaica. 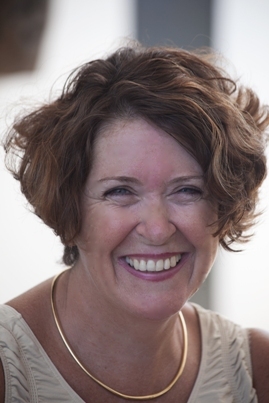 Maura is extremely experienced and professional, and as such, is highly respected here in Jamaica. In fact, she is associated with some of the very best builders, attorneys and architects locally. Bottom line, she has all the contacts you might need in a Jamaica realtor. And may I also add that she is duly qualified? Yes, both in the USA and Jamaica? In fact, she is a top agent of Century 21 here in Jamaica. She sell houses, villas, land, and other commercial properties all across Jamaica, although she concentrates greatly on the South Coast, Negril and Montego Bay. She also does villa management and rentals. 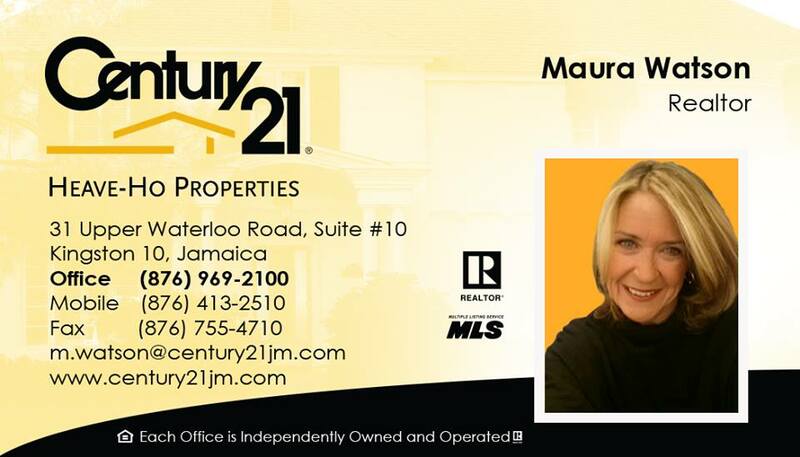 So if your need some help or direction as it relates to building or buying a house in Jamaica, renting a villa or acquiring land in Jamaica, I'd highly suggest that you contact Maura. Above all, she is one of the most professional, warmest and congenial persons I know. Simply complete the form below. She'll get back to you soon. Outside of her inviting personality, experience, expertise and extensive local resource base (contacts), she also has that (important) 'outsider' (non-Jamaican) view. Remember that she is American by birth so she will 'speak your language'; she will perfectly understand your position. Return to Jamaica Real Estate from Jamaica realtor .